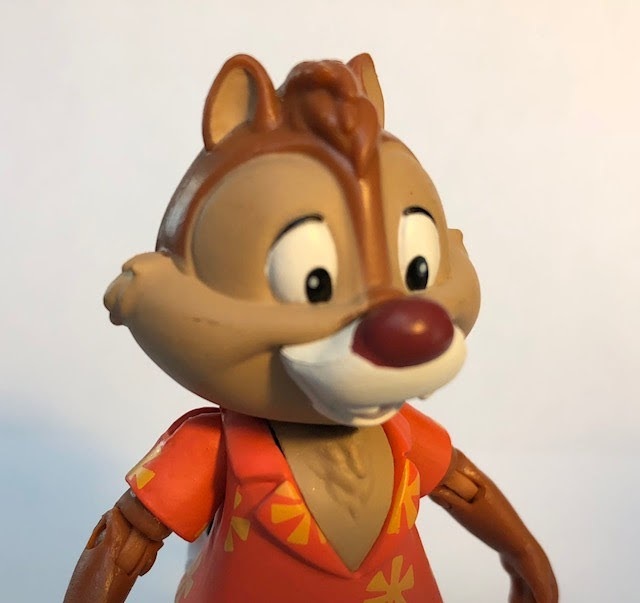 Today we have a review of Dale from Chip N Dale Rescue Rangers from Funko's Disney Afternoon toy line. 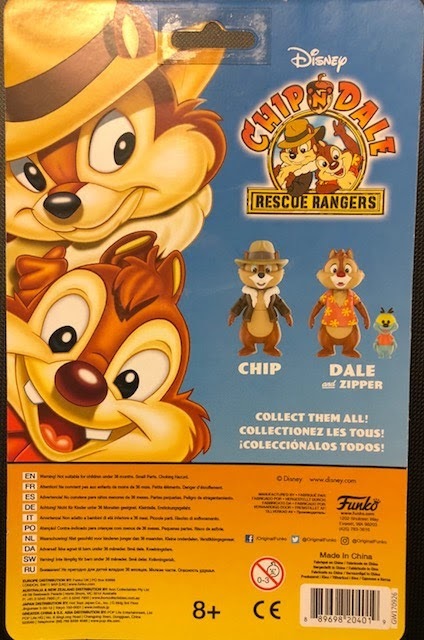 Chip 'N' Dale, the chipmunks and not the dancers, debuted for Disney in 1943 in shorts and comic books but became popular with my generation from the Disney Afternoon 's Chip 'N' Dale Rescue Rangers in the 1980s. 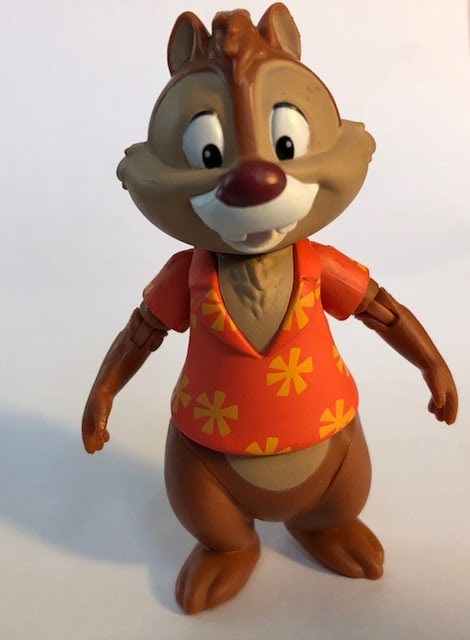 Dale is part of the first wave from Funko's Disney Afternoon. The rest of the wave has Scrooge McDuck from DuckTales, Baloo from Talespin, Darkwing Duck from Darkwing Duck, and lastly Chip from Chip 'N' Dale Rescue Rangers. Including DuckTales and Darkwing Duck, Chip 'N' Dale was one of my favorite of the Disney Afternoon cartoons. 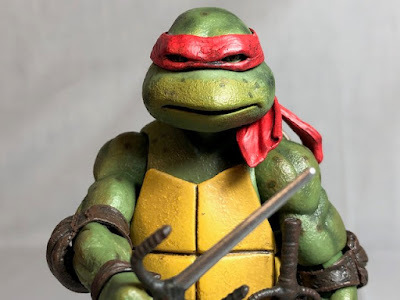 Dale's sculpt looks very good. This Disney Afternoon toy line has been able to adapt cartoon characters into a 3D figures that look like they could have been pulled out of the cartoon. Dale has his trademark red with yellow flowers Hawaiian shirt (like Magnum P.I.) but no pants. Why do most cartoon characters never have pants? If you walking into a bank with pants but no shirt they may throw you out, this is from the male perspective as Dale is a male. If you walk into a bank with only a shirt the police will defiantly be called on you. Unfortunately, Dale only has one accessory, Zipper the fly. While it's cool that you get him I thought he should have been paired with Monterey Jack since they were buddies. 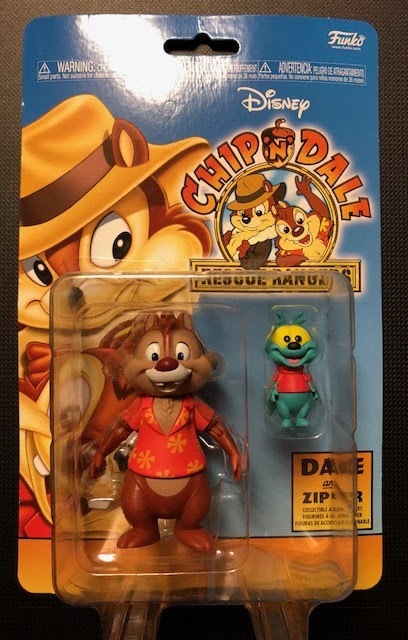 Since Zipper is a living creature it means that Dale actually comes with no accessories to use with him. I like Zipper, he looks just like his cartoon counterpart. 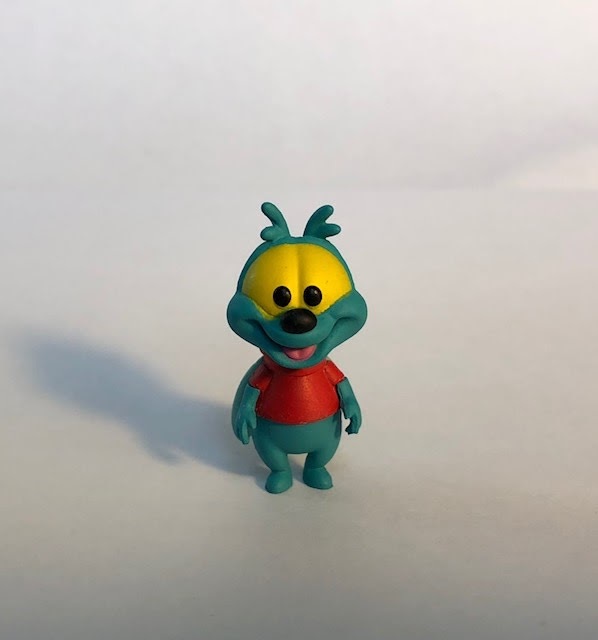 Zipper stands about an inch and a half and has no points of articulation. Dale stands about three inches tall and has eight points of interest including his head, shoulder and elbow, waist, and legs. 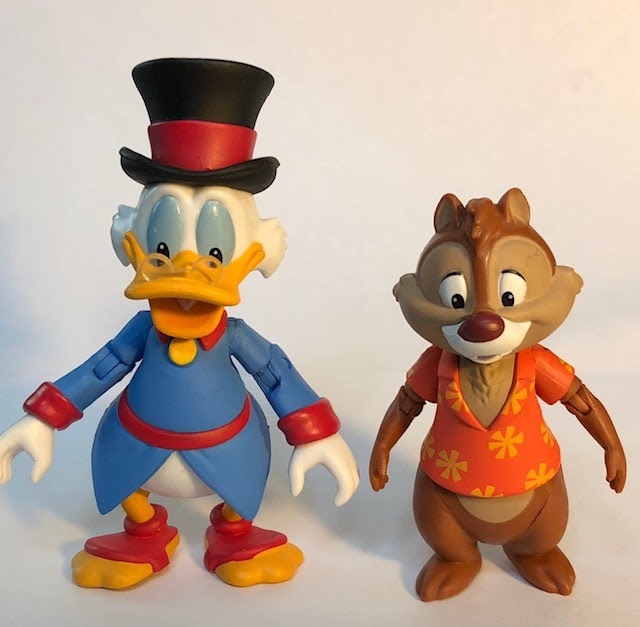 In real life, chipmunks are much smaller than ducks so him being a little shorter but Scrooge's hat is nearly an inch tall so without it they would be about the same size. 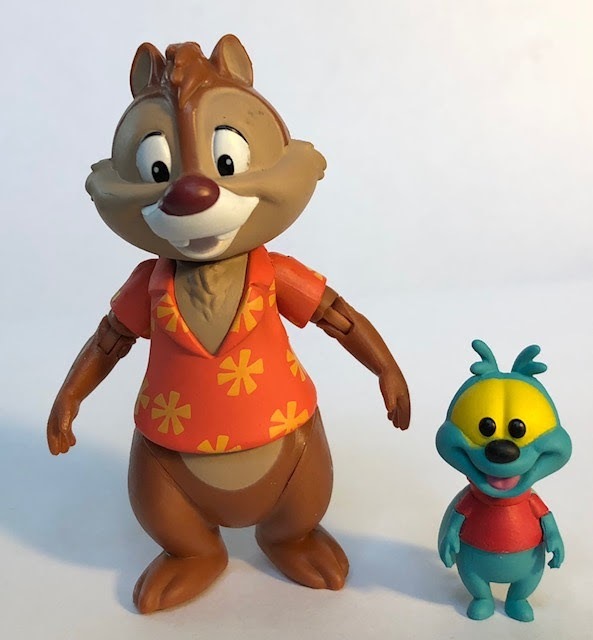 I understand that the chipmunks would be about the same size difference as Dale and Zipper are but nobody would pay 10 bucks for a Chip and Dale which are only an inch tall. It's not realistic but it's kids toys based off a cartoon so I have no problem with the size difference. Ten years ago our beloved cat died so my mom wanted to get a new cat. Big Kitty, our cat that died was a twin but my mother didn't take his brother and she always felt bad about it. So when she went to the rescue shelter and found a cat that she liked who was also a twin, she picked the cat she wanted and left but after a day or two, she decided to go back to get the brother. These cats weren't treated very well and had a few problems but overall are in great cats. Someone named these two cats Mars and Jupiter but she didn't like those names so she named them to Chip and Dale after the cartoon characters. I like changing the cat's names, it doesn't matter to them what their names are, so Jupiter went to Dale, then Schmoopie's brother, Teaspoon, Meatspace, and currently, also probably his last name, Steve French. 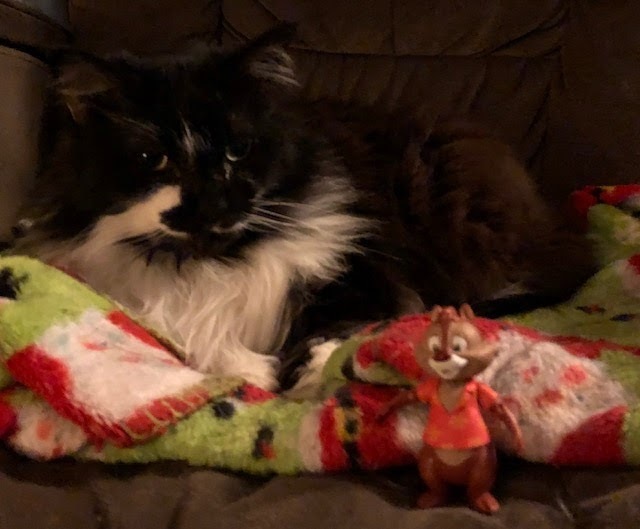 He's a good cat and he likes the chipmunk that he received his name from. I've been very happy with Dale and if you like chipmunks or rescue rangers I suggest you pick him up because these figures have been selling pretty well. I rate Dale a 7 out of 10.